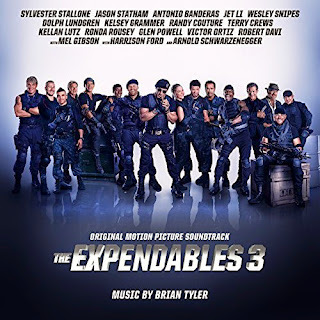 The mercenary group, The Expendables, led by Barney Ross (Sylvester Stallone), come face to face with the team’s co-founder Conrad Stonebanks (Mel Gibson). Ross was forced to kill Stonebanks after he became a ruthless arms trader, but Stonebanks survived and has now made it his mission to destroy The Expendables. Ross resorts to recruiting a new and younger generation of Expendables to help the team overcome his old adversary. The movie soundtrack of The Expendables 3 will be released on August 26, 2014 by La-La Land Records.